I love this stamp set!! "Love of Butterflies" is a beautiful and versatile stamp set from SinCity Stamps. This month we were given some awesome Pan Pastels to use in our projects. I have been having so much fun with them!! I gathered my supplies and used all 3 colors of pastels on my background, going from burnt sienna to yellow to green. 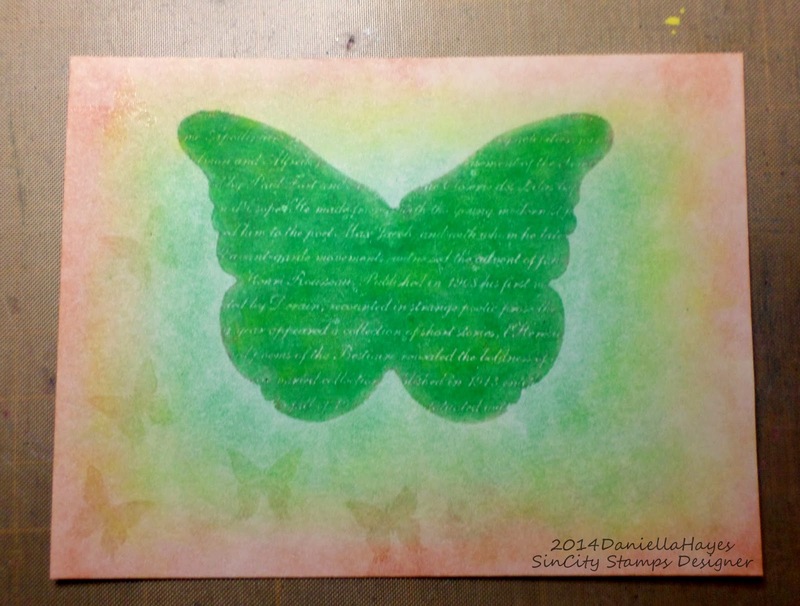 Then I stamped my butterfly in the center with Versamark ink. 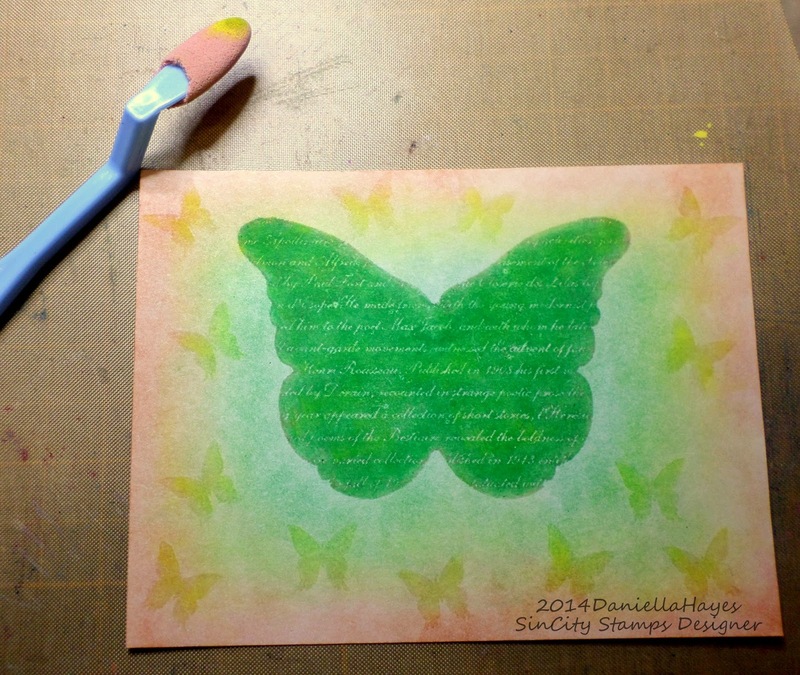 Using a small sponge, I applied green pastel to the butterfly only. I love how the color came out so much darker. 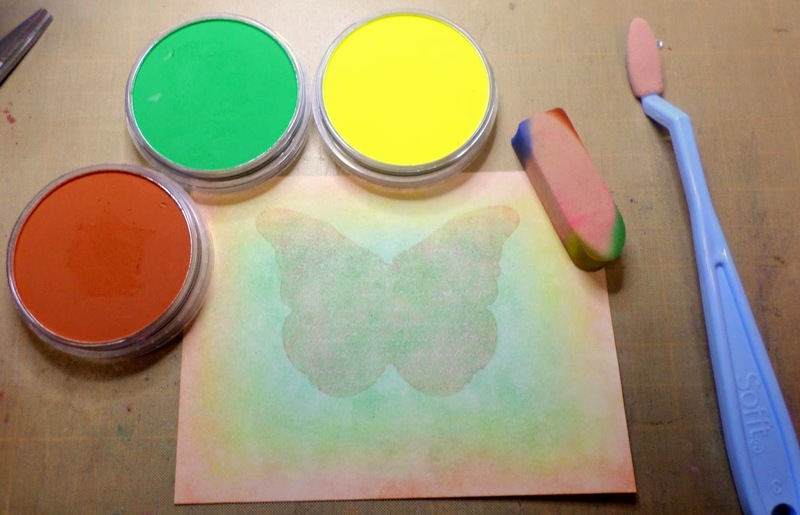 I stamped little butterflies all around the large butterfly with Versamark ink. I applied a really light layer of yellow pastel to them. When you stamp with Versamark on a background that already has pastel on it, the image shows up without having to apply anything. Since it is clear it shows the pastels through it. Here's my finished card again. The stamps and pastels did all the work. I just added some tiny pearls and a bow. What a beautiful butterfly.. love the whole project.. wonderful colours.. 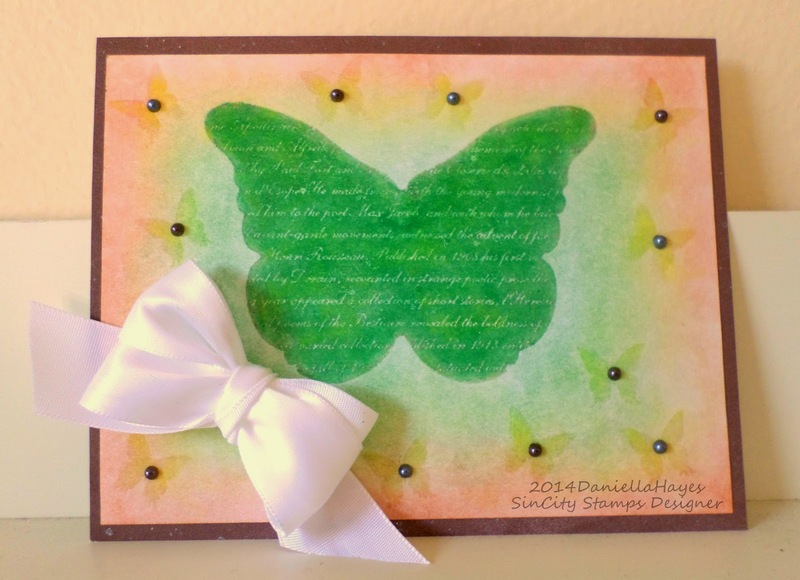 Your butterfly card is just beautiful, Daniella. The pan pastels are an amazing product, and you really made it look easy. Gorgeous butter, and awesome technique. I must get me some of those pan pastels.